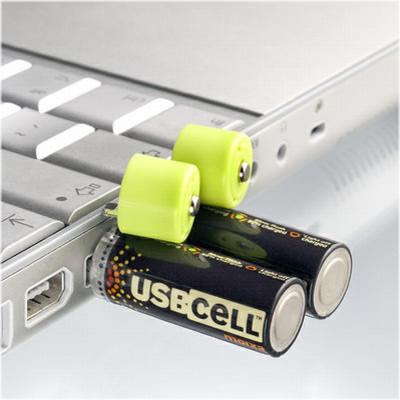 A revolutionary NiMH rechargeable battery - the USBCELL, saves you money and battery waste and is easy to recharge from a USB port. When empty, all you have to do is to plug the USBCELL in PC port. 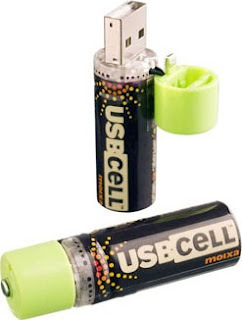 This cool eco-friendly gadget is of AA sized battery and costs $10-20. USBCELL has also been designed in the AAA format with an instant foldout full-size USB, and with a mini-USB. 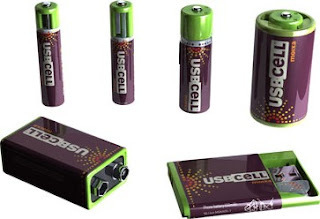 AA cells can also be used with convertors to create C and D size cells.